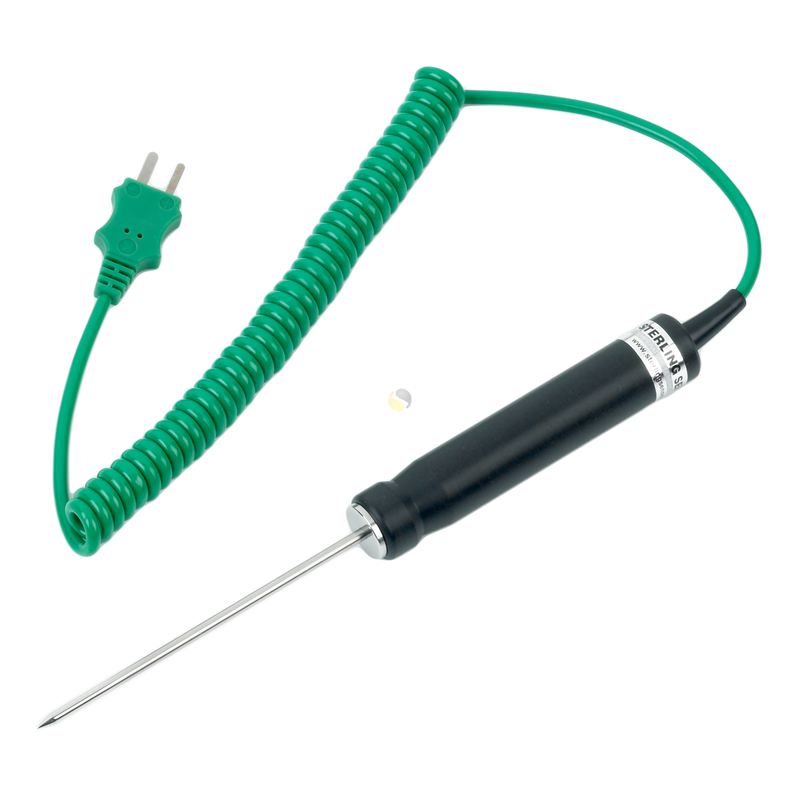 Hand held penetration probe used to puncture solid or semi-solid food products. 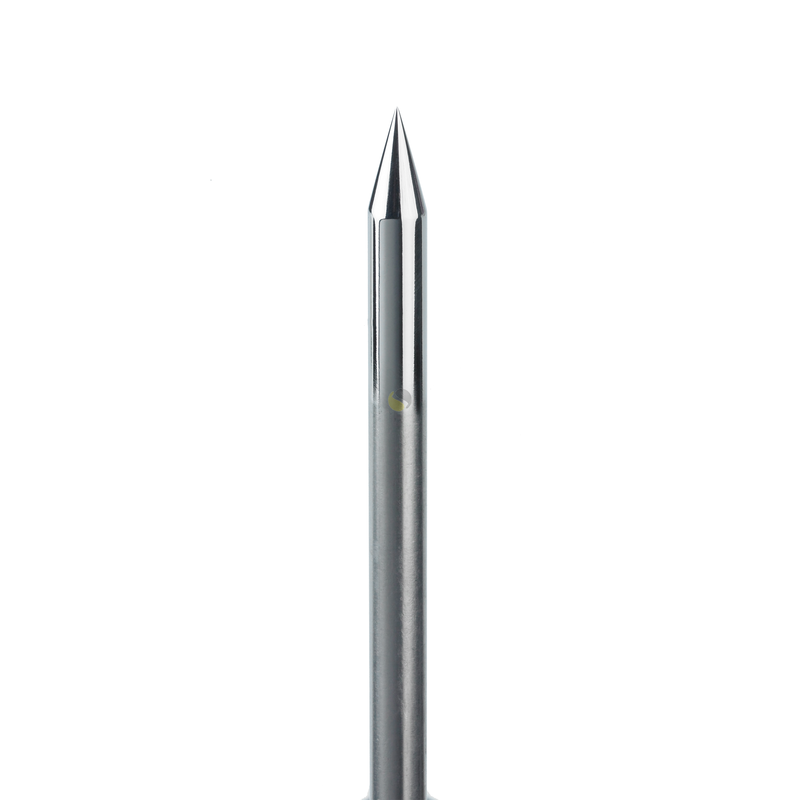 This rigid stemmed hand held type K thermocouple has a sharp pointed tip designed to penetrate into solids, semi-solids or liquids. 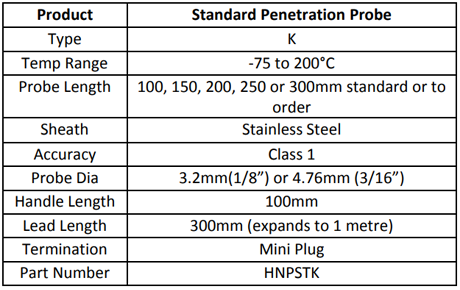 The thermocouple junction is housed in a 3.2mm (1/8”) or 4.76mm (3/16”) diameter stainless steel tube which is swaged to a pointed tip. It includes a plastic handle, 1 metre coiled cable and mini plug for use with hand held indicators.